Gold, on Friday from 1-1:45 p.m. and 5-5:45 p.m., on Saturday from 12-12:45 p.m. and on Sunday from 12-12:30 p.m. All times Eastern. Also live on the Advance Auto Parts INDYCAR Radio Network (AAPIRN) and www.indycar.com (timing & scoring + live analysis). QUALIFYING BROADCAST: Live on NBCSN and INDYCAR Pass beginning at 2:45 p.m. ET on Saturday, April 13. Also live on the AAPIRN and www.indycar.com (timing & scoring + live analysis). RACE BROADCAST: Live Sunday, April 14 beginning at 1 p.m. ET on NBCSN, INDYCAR Pass and the AAPIRN. Coverage will also air on Sirius 113 and XM 209. START/FINISH: Pole at Iowa (oval) 2011, Edmonton (street) 2011, Houston Race 1 (street) 2013, St. 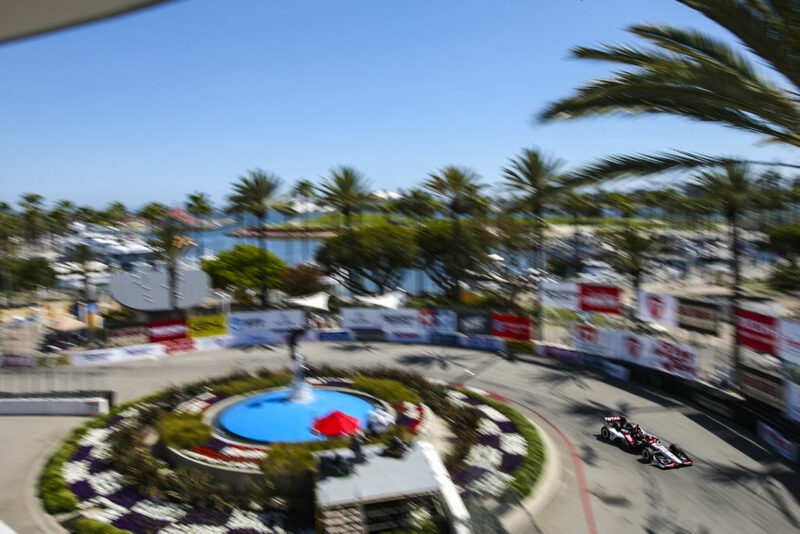 The 2019 Acura Grand Prix of Long Beach (AGPLB) marks the 20th time for Rahal Letterman Lanigan Racing (RLL) to compete in the event. Although the team didn’t compete in Indy car races here from 2004-2011 while they fielded a fulltime entry in the Indy Racing League (2004-2008), they did compete in the 2003 and 2004 Atlantic races with Danica Patrick and in the 2007 American Le Mans Series (ALMS) race. In 2009, the team returned to the streets of Long Beach in the GTLM class of the ALMS with BMW Team RLL and has finished on the podium each year but 2016-2018 although they started from pole in 2016 and led all three of those races. The venue is still the most successful for the team on the current IMSA WeatherTech SportsCar Championship schedule with wins in 2011, 2013 and 2015, eight podium finishes and five poles in 10 years. The team is also competing in Rome this weekend with a 2-car Jaguar I-PACE eTROPHY effort and has won two of the four races to date. In the RLL’s 19 previous Indy car races in Long Beach, the team entered 32 cars for drivers such as Bobby Rahal (1992-1998), Mike Groff (1994), Raul Boesel (1995), Bryan Herta (1996-1999), Max Papis (1999-2001), Kenny Brack (2000-2001), Jimmy Vasser (2002), Michel Jourdain (2002-2003), Takuma Sato (2012, 2018), Graham Rahal (2013-2018), James Jakes (2013), Mike Conway (2013) and Oriol Servia (2014). In total, the team won three poles (Herta 1998, Vasser 2002, Jourdain, Jr. 2003); made five front row starts including an all-Team Rahal front row in 1998 (2nd – Rahal 1998, Brack 2001); earned their best finish of second place four times (Rahal 1992-1993, Vasser 2002, G. Rahal 2013) and earned six podiums (2nd – Rahal 1992-1993, Vasser 2002 & G. Rahal 2013; 3rd – Herta 1998-1999). The team has entered the No. 15 TOTAL Honda for Graham Rahal and the No. 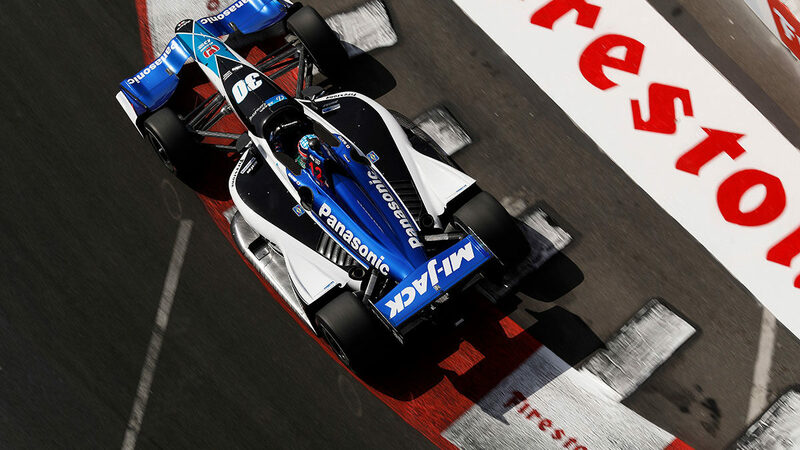 30 Mi-Jack / Panasonic Honda for Takuma Sato in this year’s race. 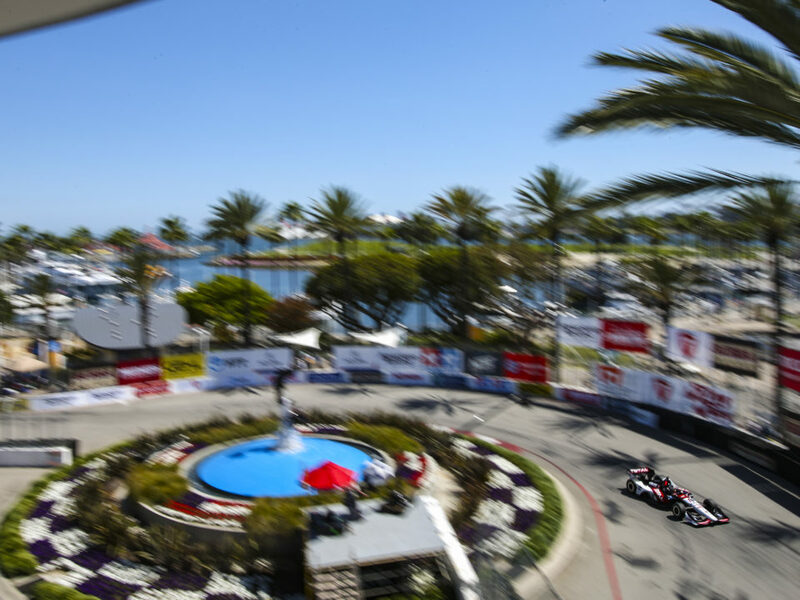 The 2019 Toyota Grand Prix of Long Beach will be Graham’s 13th Champ/Indy car race here and 14th overall. His best IndyCar start here is fifth in 2007 and best finish is second place in 2013. In 2018, after starting in fifth place, he passed fourth place Dixon but slid into the back of third place Pagenaud, who hit the wall in Turn 1. He was given a drive through penalty and dropped to 22nd. Due to being in the back of the field, the team opted for a three-stop strategy and he made his first stop for fuel and tires on Lap 12/85. As many in the field began to make their first stop, he climbed to 12th by Lap 30 before he made his second stop on Lap 33. He was forced to use much of his 200 seconds of Push to Pass to get by cars. He made another stop under caution for Kaiser on Lap 44 and was 13th when Claman de Melo brought out a caution on Lap 60. Bourdais and Dixon entered a closed pit and once the pits opened most made a stop which cycled Rahal up to seventh. Once Dixon served a drive through penalty, Rahal moved to sixth on Lap 68. He passed Andretti for fifth and held the position for 15 laps until the checkered flag. Year-by-year recaps are available upon request. 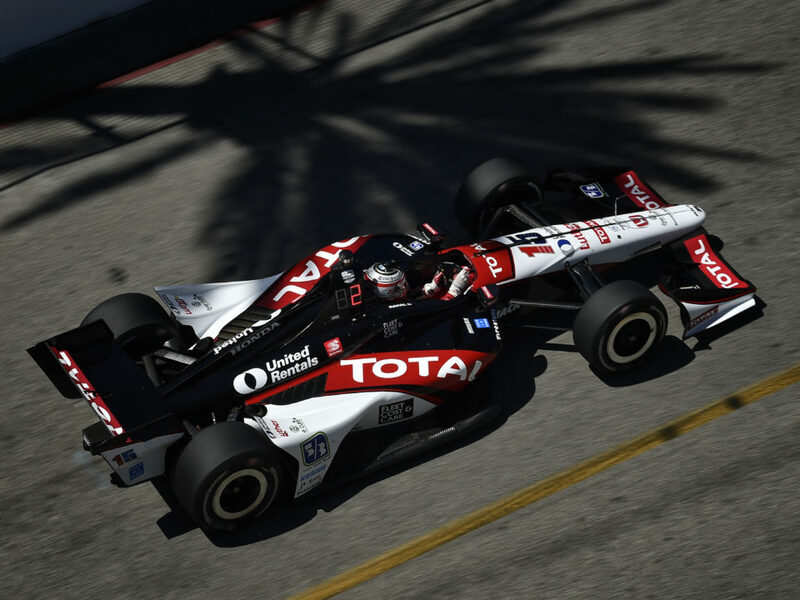 Rahal is hoping to pick up where he left off at the previous race where he and teammate Takuma Sato locked out the front row of qualifying and set the pace in the race. 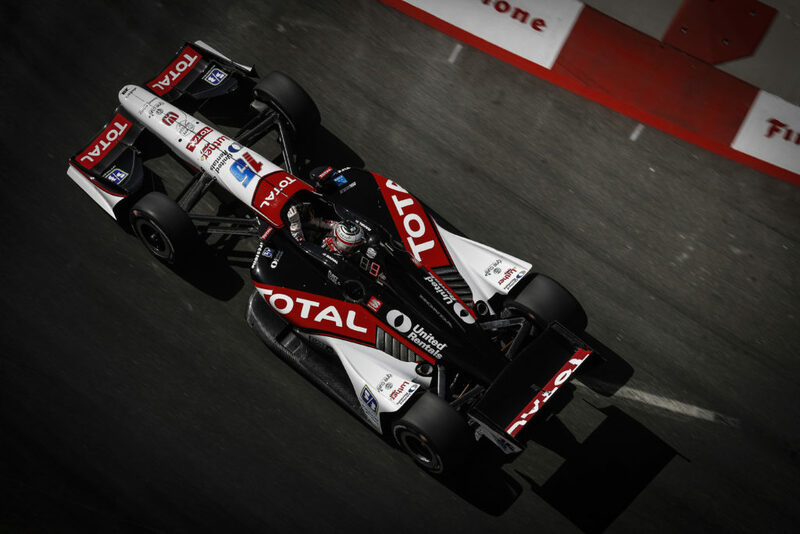 Unfortunately Rahal had a throttle position sensor issue that took him out of second place and a still-undetermined electrical issue than forced him to retire later. The 2019 race will mark the 10th here for Takuma Sato. His highest start and finish here came in 2013 with A.J. Foyt Enterprises when he led 50 laps and won from a fourth place start. The race prior to that was with RLL in 2012 and he led 16 laps and was third when he was hit by Hunter-Reay on the final lap and finished eighth after starting eighth. His other top-10 start came in 2016 with Foyt (8th) and other top-10 finish was fifth in 2016, also with Foyt. 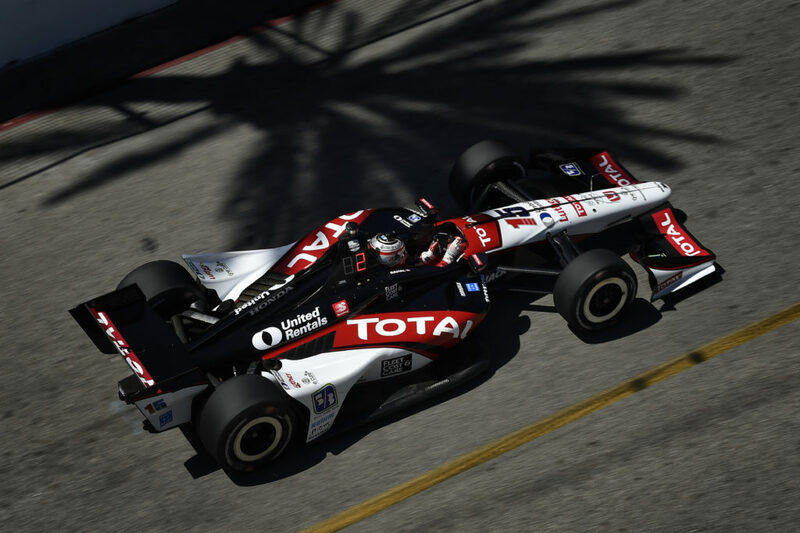 After earning his eighth series pole last Saturday at Barber and his first win from pole on Sunday, Sato is excited to continue the momentum at the Acura Grand Prix of Long Beach. He earned his first of four series wins here in 2013 and another could be his first repeat win at a track. “As it is very competitive field in IndyCar, it’s difficult to judge it race by race but certainly we are more comfortable with our generic street course set-up and will develop the speed at the weekend so we should be reasonably competitive and that’s the start line,” added Sato. After his win in the previous race, Takuma Sato vaulted from a pre-race rank of 13th into 3rd with a total of 91 points to leader Josef Newgarden’s 125 (-34). 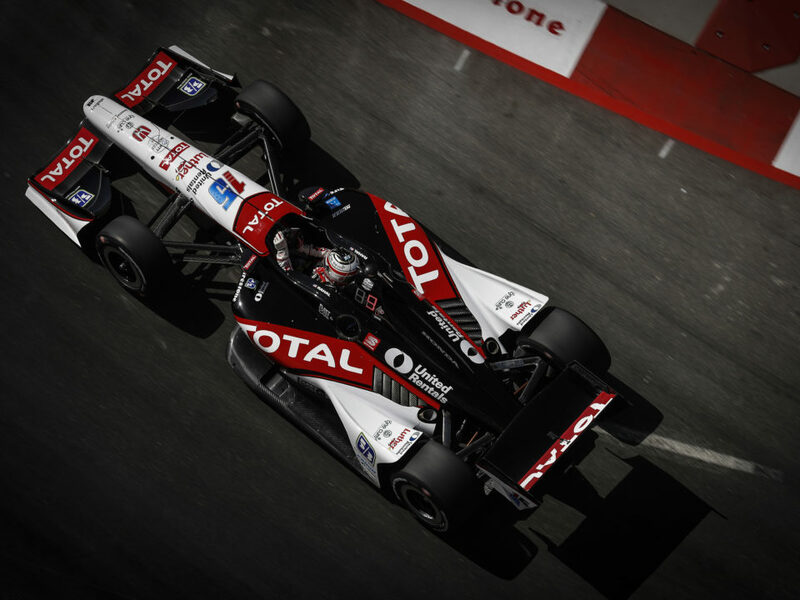 Rahal entered Round 3 fifth in series standings but was unable to realize the potential of his second place start due to an electrical issue and retired from the race which dropped him to a 13th place rank with 58 points. Another benefit of starting on pole is getting the coveted first pit box for the next race. This means Sato and Rahal will have the first two pit boxes and clear access to the track at the start of sessions, when the field returns to green flag conditions during sessions and especially after stops in the race. Sato is understandably happy about this on the tight street course that has a pit lane that curves around Ocean Drive.